Victoria counsellor part of a team that wants to use the psychedelic drug psilocybin to treat people who suffer from acute death anxiety. The active ingredient in magic mushrooms may soon be used to help people with a terminal illness come to terms with death. A counsellor in Victoria is part of a team that wants to use the psychedelic substance psilocybin to treat a condition called end-of-life distress when someone suffers from a combination of anxiety, depression and demoralization. Bruce Tobin said that there are about 3,000 people with a terminal illness across the country whose end-of-life-distress is so severe that traditional treatments have been unable to alleviate it. On Tuesday, Tobin was part of an application to Health Canada seeking a Section 56 exemption to the Controlled Drugs and Substances Act. The exemption allows researchers, including physicians, veterinarians and others affiliated with universities and private industry, to use a controlled substance. Psilocybin is a controlled drug under Schedule III of the act. Tobin is a registered clinical counsellor who practises psychotherapy. He leads a clinical team that includes two doctors, two psychologists, two registered clinical counsellors and a nurse/pastoral counsellor. All have received specialized training in psychedelic medicine. Tobin said he wants to see psilocybin used to treat patients who “have nothing left to lose and who are in abject pain.” He said his team would use pharmaceutical grade psilocybin, not ‘magic mushrooms’ whose active ingredient is psilocybin. 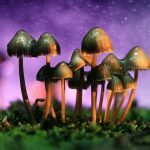 “The effects from the synthetic psilocybin, as far as I know, are indistinguishable from the effects of organic mushrooms,” he said by phone from a town south of La Paz in Baja, Mexico. “There are certainly perceptual, cognitive and emotional changes that a person experiences while under the effects of psilocybin. It is precisely those changes that result in a kind of re-evaluation of their life situation. Recent studies, he said, have shown that treatment with psilocybin produces large decreases in depression and anxiety, along with increases in quality of life, life meaning and optimism. In one study, a six-month followup after treatment showed that about 80 per cent continued to show clinically significant decreases in depressed mood and anxiety. He said psilocybin would be used in association with psychotherapy that includes screening, assessment, preparation and followup. Tobin said if Health Canada denies the application, then his team is prepared to challenge the decision in court using the same kind of Charter arguments used for medical cannabis. In 35 years of treating anxiety and depression, Tobin said he’s seen little improvement in the effectiveness of medications despite all the billions of dollars spent on developing them.